To show my ❤ for Zozo, I wanted to do a cat look for Halloween and what better to dupe than the ultra fierce look spotted at Dior A/W 2008? 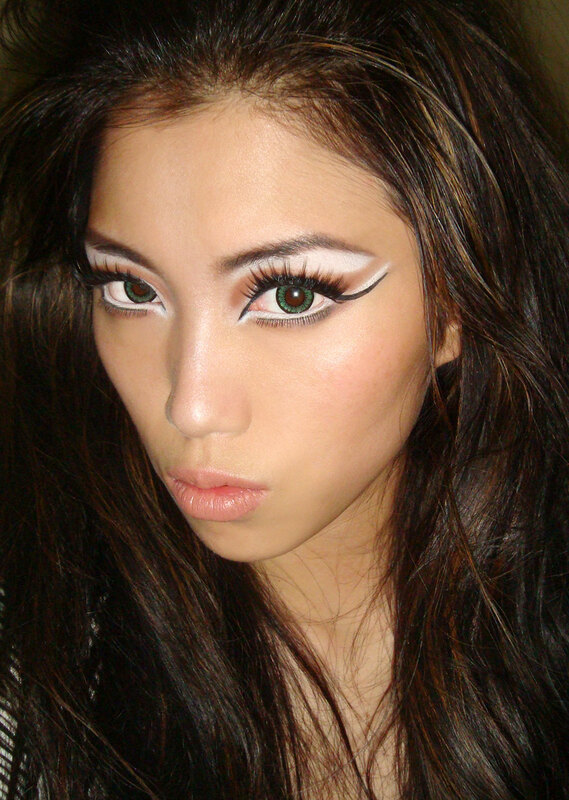 Check out these other makeup ideas for Halloween! this look as good as the ones from the fashion show or even better! love it Phyllis! your kitty is so cute! wow this is so cool! You always do such great intepretations of the runway looks!! Oh my god, it is awesome!!! I love this look! Seriously stunning!! You should do makeup tutorials on Youtube! Wow! I love this look! You do really amazing work. WOW you are amazing I LOVE this look!!! I might try this for a halloween party!! thanks for the post awesome!! I love this. Yours is even better than the runway looks, it’s more wearable. You look awesome! I agree, you should do a youtube tutorial! Yay so glad you guys are digging the look =) You should totally post pics of you wearing it too!